Club Penguin Cheats by Mimo777 Club Penguin Cheats by Mimo777: Music Jam Sneak peek! 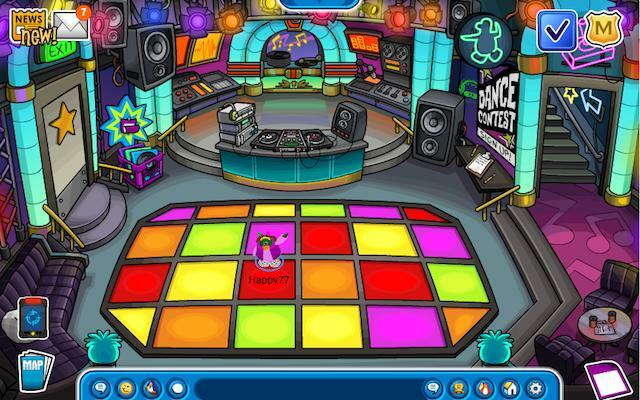 Check out the sneak peek of the Night Club at the Ultimate Music Jam Party! There are also lots of newly decorated rooms with cool music from previous parties! And CP says that the Penguin Band WILL be at the party! Yay! That should make the party a lot better! CP will keep us up to date so that we will have a better chance of meeting the mascots! Does the Penguin band being there make the party better? Phew! I was worried for a second that they wouldn't show up. I can't wait for the party! Yes! the penguin band makes the party better. I actually think so, lots of people were complaining about that, and it kinda gives the boys a better mascot to find, because it seems CeCe and Rocky are for the girls, Penguin band for the boys, and Candance for both. Heh, did you see the news about the fruit party August 8th? Yeah!!!! The penguin band totally makes the party better! 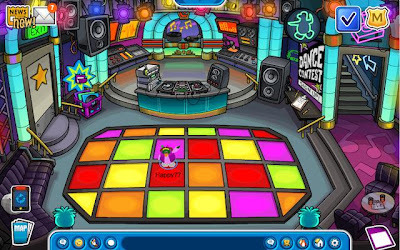 The penguin band always make the music jam better.In conclusion, the new shake it up mascots in my opinion is a little lame. No offense Ce Ce and Rocky. 6 mascots in one party! This is going to be INSANELY awesome. did u know that Fire and water ninjas can do this thing where they turn the sky orange and make meteors fly down i saw it today! Anyway, how do you know?